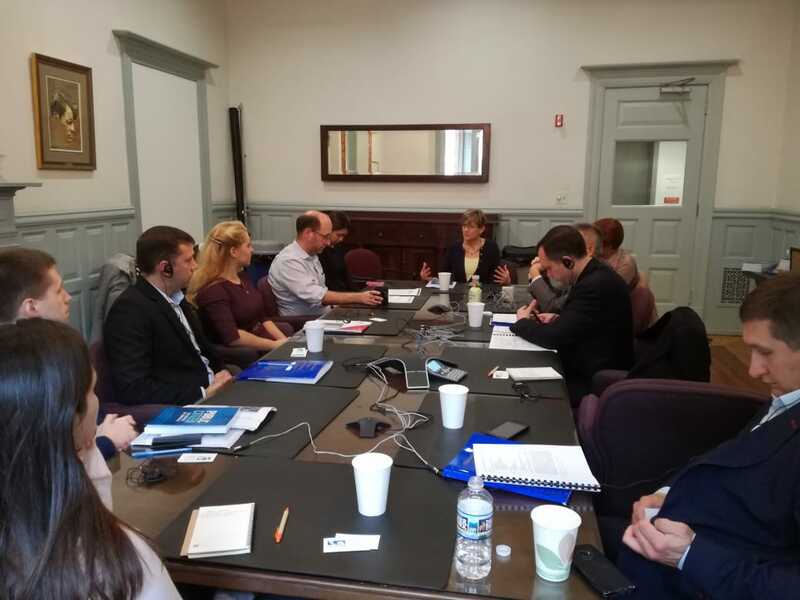 The Ukrainian delegates had meetings with representatives of the US Department of State, police, prosecutor's office, court, local authorities, mass media, non-governmental organizations and political experts. During the visit, there was an opportunity to compare the work of Ukrainian and American systems of protection of law and justice, methods of conflicts solving, informing on the topic of combating corruption and building crises communications. The representatives of the NABU, the SAPO and the COC had an opportunity to discuss the anti-corruption processes taking place in Ukraine today and to determine what efforts each party could make to achieve a positive result. In addition, they exchanged contacts with their American colleagues to continue professional communication. International Visitor Leadership Program (IVLP) is a program of professional exchange of the US Department of State. Through short-term visits to the United States of America, foreign leaders from all over the world get acquainted with country and develop relationships with their American counterparts.